Were you a My Little Pony fan when you were younger? I was! I love that they are still around today (a little different, but it’s all the same). 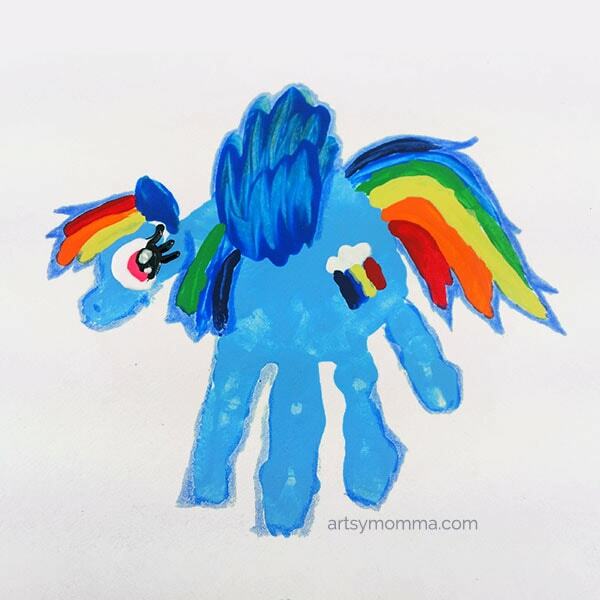 My daughter always colors everything ‘rainbow-colored’ so of course Rainbow Dash is her favorite (see her cute My Little Pony ornament – she received last year and plays with it instead of hanging it up on the tree). 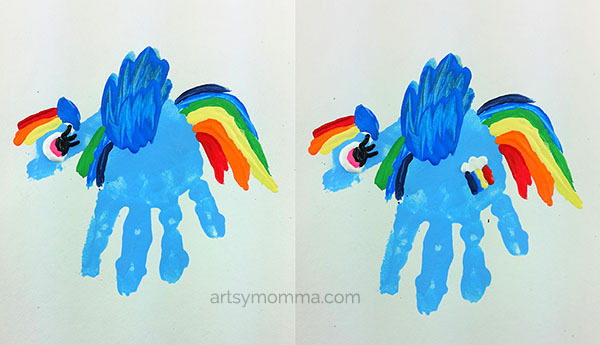 Here’s an adorable Rainbow Dash handprint craft that you can make together for mommy and me time. 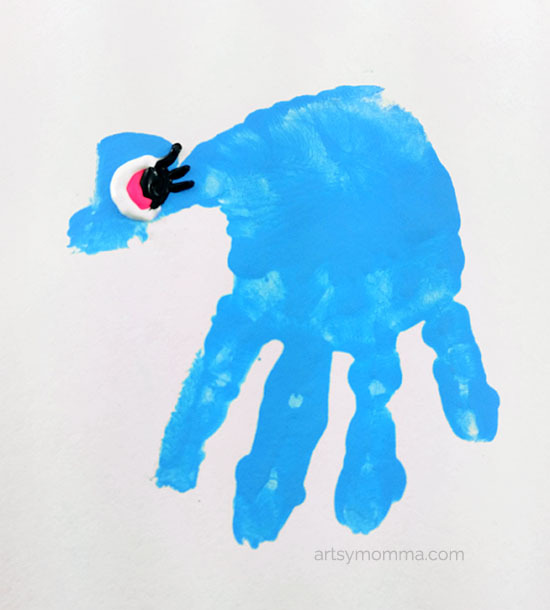 Use the light blue paint to make a handprint. The fingers will be the legs, the thumb will be the head. Paint the mane and tail in a rainbow pattern, along with the hip tattoo. Use dark blue for the wings. Use the black, white and pink puffy paint for the eyes. 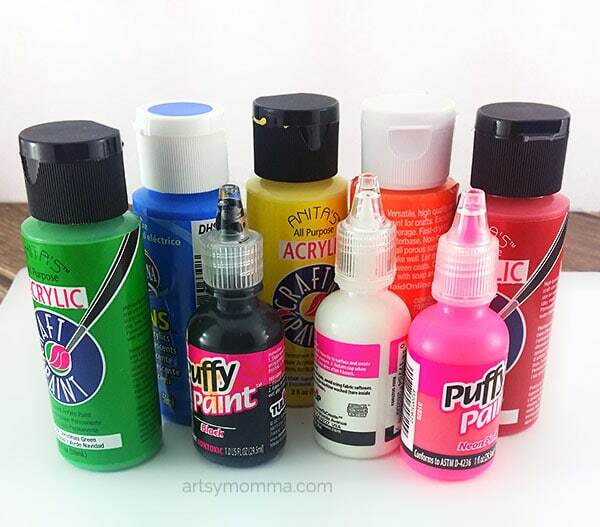 You can use regular paint too, but I find puffy paint easier because it’s a smaller area and I don’t have to go over it twice. Once everything is dry, you can use a colored pencil or crayon to go over the outline which helps make it stand out a little better as well as hide minor painting flaws. 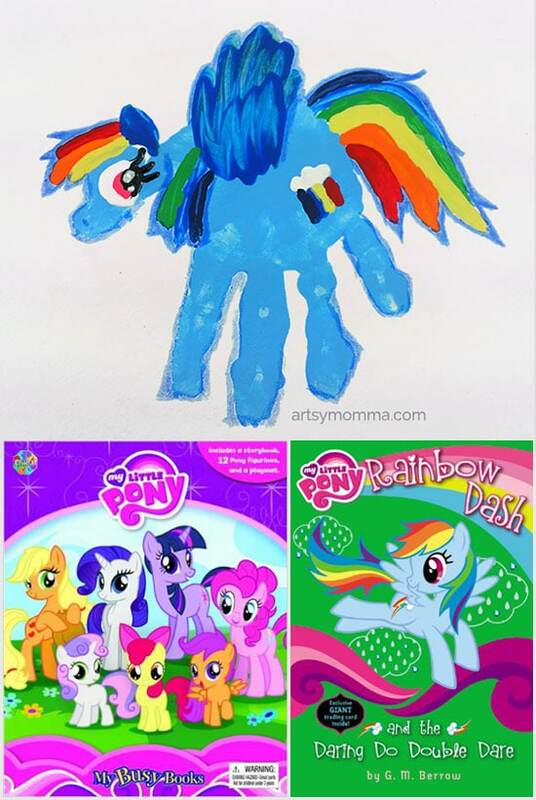 For more character crafts like this My Little Pony Rainbow Dash handprint craft, see this handprint Sleeping Beauty keepsake, Goldilicious craft, and DIY Minion Puppets.